Vitamin B & C infusion. Vegan plant-based skincare. Bespoke Botanicals Swedish-American Dermatology. Hypoallergenic. Vegan.Fortified with potent daisy, green tea, plus vitamins B5 and C for concentrated skin brightening benefit. Daisy Spray Serum is fortified with Bellis perennis, rich in polyphenols and flavonoids, these compounds help control hyperpigmentation or brown spots. The botanical extract is slowly blended with green tea, vitamin B5 and vitamin C for concentrated hydrating and brightening benefit. Naturally free of parabens, petroleum, mineral oil, PEGs (polyglycols), synthetic fragrances and dyes. 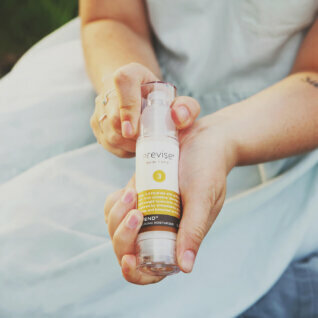 How to Use Spray to invigorate and protect your skin with rich antioxidants. Apply periodically throughout the day. May be used on top of makeup.